Transylvania, Petrila mining railway and some photos from the Jiu valley and the Iron Gates. Beautiful autumn scenery and loud diesel sound in Bulgaria. 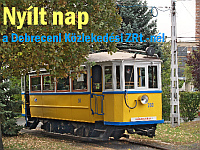 Historic trams from the wood frame types to the famous FVV-Bengáli. Passenger and freight trains with diesel in the Low Tatras and with electric locomotives and multiple units in the High Tatras. Slovenian steam and some other photos-videos. Rack steam run on the Tisovec-Brezno and Pielstick special on the Sahy-Zvolen railway. Kredenc, steamer, 753, retro-810 and many other spectacular sights from the Dunajská Streda, Nitra and Zlaté Moravce regions. 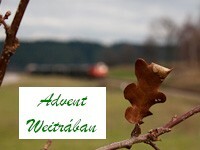 The last part of our 2014 roundtrip: photographing along Brünigbahn and the connecting railways. BOB, WAB and SPB in the valley. A charter with a class 324 some years ago and some recent photos from around Veszprém. Snow-covered class 1141s and a visit to the Rijeka and Karlovac depots. A quick visit to the winter landscape with the rack railway and the Childrens Railway. Night can be contrasted with illumination and the last day of 2017, the first day of 2018 was a great opportunity to test in in real life. 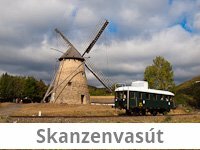 The Szentendre Skanzen has a unique way of transportation in the form of an every day running, historic zig-zag railway. Photos and videos from the 2017 event on the narrow-gauge museum forest railway. From the Banovici Coal Railway steam locomotives to the Talgo high-speed trains of the Sarajevo-Mostar-Capljina ralway accross the Dinari Alps. 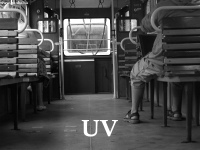 A last collection of yet unpublished images from Western Hungary from the GYSEV to the Dunaferr. 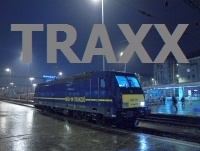 The Croatian diesel sound and the atmosphere of Slovenian main line railroading. 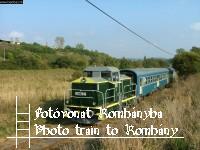 Two photo charter trains in the Mátra mountains on the narrow-gauge Forest Railway. School trips with very few trains. 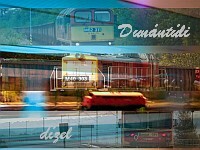 Diesels around Liberec and Tanvald supported by electric trains photographed at Ústi nad Orlici. 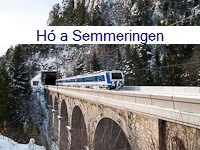 Snow-covered trains on the Albula, Bernina, Engadin and Prättigau lines. 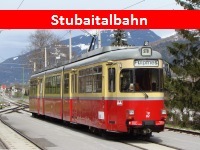 ...the Neumarkter Sattel and the Murtalbahn. Branch line romanticism and a visit to the biggest workshop in Hungary at Szolnok. 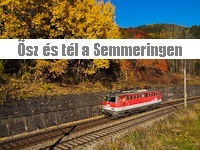 Historic and normal trains summer and winter on the highest railway of Graubünden and the Engadin. Bosnia, Montenegro, Albania and Serbia, sightseeing and railways. 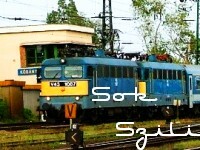 Diesels on the Slovenian mainline and the Koper ramp. 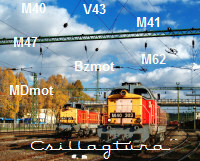 MDmot and M44 at Debrecen, class 60, class 841, M62 and M41 in Romania. Central-Slovakia and Margecany under a white cover. Photos from Szeged and from around Budapest. 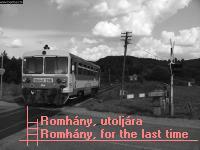 Memories fromt the old railway to Esztergom. 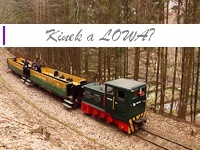 Ride on the Waldviertler Schmalspurbahn with 2095 diesel locomotives. Small, medium and big ones on the move. Much like the old 600 mm gauge railway we had a wonderful time on this unique atmosphere photo charter. 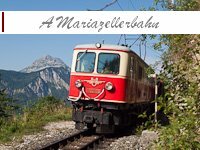 Travelling from St. Pölten to Mariazell with many stops. A big circle in time and space around Sopron. Photos from the St. Moritz to Scuol-Tarasp secondary line with a colourful set of trains appearing. Sightseeing with a few railway-related photos. 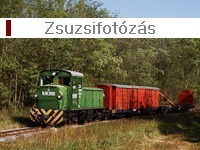 Photo trains on the Szob and Szilvásvárad forest railways. With a NoHAB-GM locomotive around Lake Balaton. The Night of the Museums and the Railway Day at the Hungarian Railway Park. The first running gallery is closed. A new battle against the fog in Northern-Slovakia. 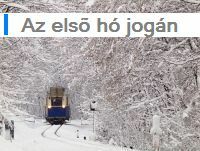 Nógrád, the Királyrét forest railway and some other nearby lines not only with Bzmot traffic. Our first photos on the railway linking central Graubünden with the Engadin taken in April, 2011. 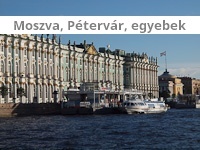 The Siemens Company started its demonstrator tram from Nyugati pályaudvar 125 years ago. Narrow gauge railway to Lajosháza and mainline trains around Nagyút in the sunset. The rack railway and the mainline at the feet of the High Tatras. 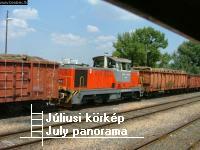 A photo charter mixed passenger/freight train at the narrow gauge railway at Debrecen. Rusty electric locomotives, live steam, and a sidetrip on the CAT and at the new Hbf at Vienna. A freight train with an M62 and a number of railcars in the autumn landscape. 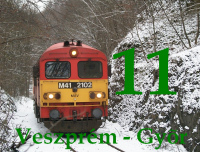 The trip of the M131 railcar from Zvolen to Velky Krtis over Ipolytarnóc. An M47 in beautiful scenery. A photo charter with a BCmot historic railcar and a car pursuit of an MDmot. 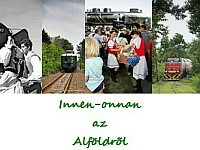 My photos of the historic trains of the celebrations weekend on the Surselvalinie. From the Rhein-gorge to Oberalppass along the rout of the Glacier-Express with the RhB and the MGB. 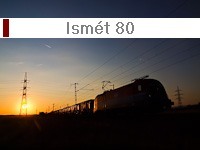 Bzmot and MDmot multiple units around endangered branch lines in Eastern Hungary. 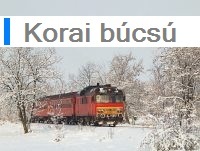 The railway in the Bódva-valley at the last weeks of the diesel locomotives. 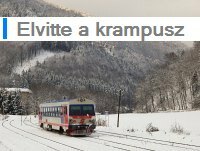 A snowy photo freight train at the LÁEV and photographing at the Tatra Electric Railways. 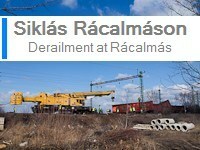 Ten freight cars derailed demanding much work from a crane and detoured freights in the Dunaújváros area. 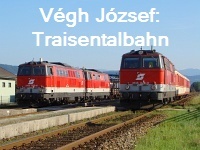 Electrification is almost complete, but still the lound engines rule the Zalaegerszeg-Hodoš railway. 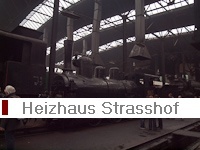 Also rare locomotives appear at Breitenstein and Mürzzuschlag. 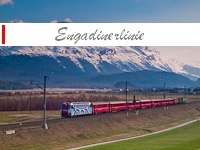 ...is a railway with high traffic, freight trains, a connecting rack railway and the appearence of the Glacier-Express. Photos from around the Nógrád castle in beautiful colours. 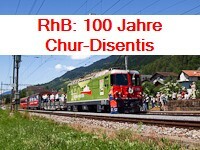 An introduction to the superb scenery of the RhB by the Landquart-Chur-Thusis S-Bahn line. My friends sent me their last photos of the legendary branch line class. We visited the rarely seen section of the old Gödöllõi HÉV route with the M297 railcar. 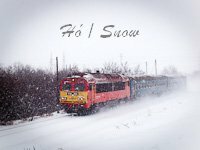 We went after six-axis ASEA-license locomotives in the snow-covered Mures valley and the pass towards the Csík contry. Special train with the C50 locomotive. M41 and M47 locomotives appear with freight and passenger trains around the biggest lake and the best mountain range in Hungary in the winter sun. 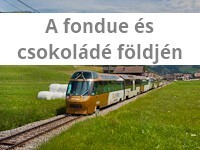 Hiking and travelling on the Királyrét and Kemence Forest Railways. Photographing the newest MÁV locomotive 480 001-0 around the country. 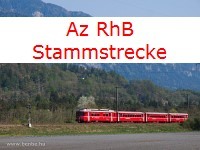 The ÖBB locomotive driver took his photos of the now shortened railway during his training. 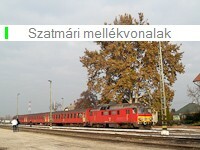 No more class M41 locomotives run from Miskolc to Ózd. 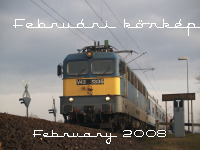 We organized a photo charter for the MDmot trainsets a few weeks before their disappearence from the Hungarian branch lines. The last few kilometres of the Traisentalbahn and the first few kilometres of the Krumpe shut down in December, 2010. 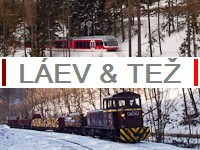 A rare occasion: photographing the LÁEV historic trainset in the snow! 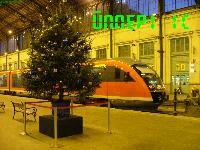 Old and new photos of the red secondary line trainsets from the Pécs-Villány railway. Taurus, Talent, 1044 and German trains, advertising livery locomotives from one of the most spectaclar routes of Tirol, in snow and in the sun by József Végh. A classic Hungarian photosite is the cutting near Szár. Though I dont think I can say anything new of the place, hopefully youll enjoy the subjects and the photos! One day after the closure of the Szilvásvárad-Putnok line we used the railcar that returned to its depot at Miskolc to take some post-last-minute photos of one of the most wonderful lines in Hungary. 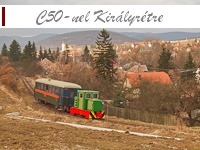 I went to the Királyrét Forest Railway to take a few shots of their newest acquisition: the newly built railcar Toby, and then went on to Slovakia to photograph some diesels in the mountains. Many plastic trains and very few good photos from a trip on which we were less than prepared with photosites. Some First ScotRail trains, the Deeside Railway near Balmoral Castle, the Royal Scotman charter and a few other train and landscape photos from Scotland. Steamer and railcar historic trains, everyday passanger and freight traffic from the Lajosmizse and Lakitelek branches. 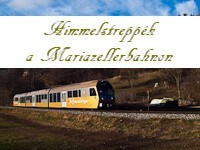 One of the less-known railways through the Alps is the Linz-Selzthal railway. For the anniversary, many Austrian and German locomotives and trainsets gathered together. To back up too small and not very numerous 6341 railcars trains hauled by M41 locomotives appered again at the Szeged-Békéscsaba railway. 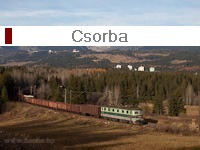 Transcarpathia in Ukraine has a normal gauge railway built so the winners of WW1 can run trains bypassing Hungary. 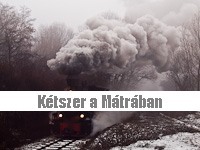 Now we use this railway to link Hungarian nationals together with a wonderful rail tour. Another brief article from the locomotive driver from Wörgl about a seldom seen Austrian class. I was in two minds if I was to go on a mourning of many railways. And which one, anyway? I chose the one I though to have the most to survive. Standard rolling stock, like V43s, V63s and FLIRTs are supported by the Haydn-Taurus, railjet trains and a black MRCE-Dispolok beauty. Bzmots assume main roles in this springtime photo album. 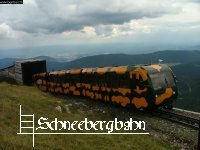 My second album with photos of the world-famous mountain railway adds pictures taken at Eichberg, Schlöglmühl and at Spital am Semmering to the gallery. More to come! The same place we visited with the trains.hu with a M40, but now during the best time of fall, with beautiful autumn colours supporting the green historically painted locomotive. 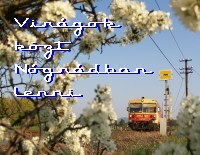 A short album with interesting photos and new videos of the Children s Railway (Gyermekvasút)! Lines 80, 81 and 85 appear with their colourful rolling stock and the best motives of wintertime. The reconstruction works of the Újpest railway bridge at Budapest. Eurocom freight trains on scenic routes from Veszprém to Paks on some now closed-down railways and the wonderful Bakony. My gift to the readers of my website. Another visit to three of the lines decided to close by December, 2009. A journey on lines with a long past, but an unfortunately short future from Újszeged over Mezõhegyes, Battonya, Kisszénás, Kondoros and Szarvas. The second part of our one-week trip to the Mediterranean with the beautiful desert mountain tour from Elbasan to Pogradec and many other pictures interesting to those who love the railways of the Balkan. Serbia and Montenegro show their most beautiful places and a nice railway that incorporates the world s highest railway bridge. Also includes the first few photos from Albania with the Shkozet depot and the Durres-Vlore railway. 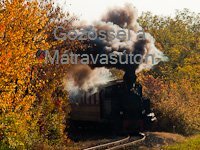 220,194, a very old steam locomotive took its train of two-axle coaches on a spectacular autumn celebratory ride to a trip on the lowlands. An old secondary line gains fame as M62 locomotives help the IC-s over a detour during a track reconstruction on the Budapest-Pécs railway. 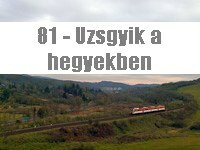 A freight train on the closed Tamási - Keszőhidegkút-Gyönk railway. 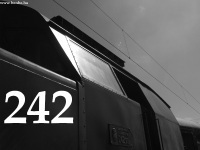 The nice M40 locomotives occupy a few dozen frames in this new album. One day I was organizing a photo charter with the V42,527 historic locomotive, the other I found myself in Sarajevo, travelling to the famous Konjic viaducts in Bosnia-Herzegovina. Two photo charters to Lovasberény, once with an M62 and once with a nice little M43. 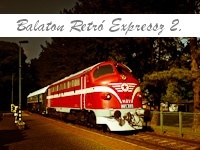 Follow the Malaxa railcar to Moldovita or the Ferkeltaxi from Bixad to Satu Mare! 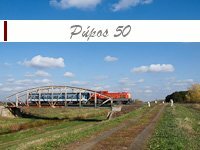 Also mind the photos of the Viseu de Sus narrow gauge railway after the devastating flood of 2008. 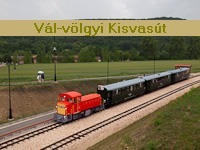 A shunting locomotive serves Pilisvörösvár station every Tuesday night. 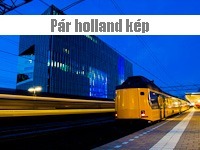 To capture its movements we took our high performance lamps and illuminated the station like a Hollywood studio. It s spectacular! Passing Serbia and Montenegro to get to Albania is jeoparadized by policemen, mad drivers and spectacular opportunities of photography. 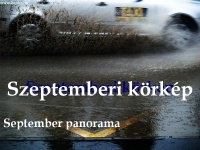 Contemporary and archive photographs from the last 15 years of the Gyermekvasút. This is how I used to take photos some ten years ago. 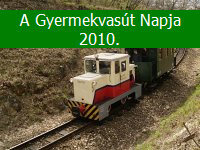 The second batch shows D1 multiple units manufactured by Ganz-MÁVAG on the scenic railway beside the Tisa and Prut rivers. 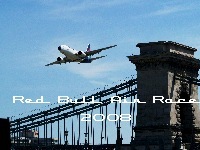 The first batch of images taken on our trip to Ukraine and Romania. 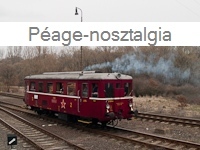 As a surprise, an M40 locomotive recieved a fast train between Nagykanizsa and Zalaszentmihály-Pacsa. See what happens! A MÁV-Nosztalgia kft. special excursion. 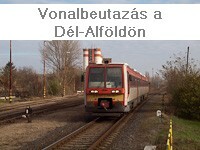 Many-many photos of M41-hauled trains on the Székesfehérvár-Tapolca and Ukk-Balatonszentgyörgy railways. The new V43 3xxx locomotives make their debut on benbe.hu! The landscape-lovers will enjoy my photos from Városlőd in the Bakony mountains. 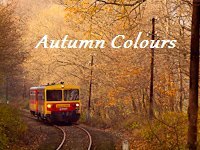 Colours, flowers, a scenic landscape and THE TRAIN in one album! 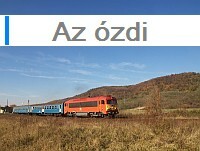 The Aszód-Balassagyarmat railway. 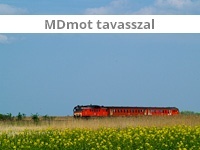 MDmot trains and M41 locomotives make a two-hour regular timetable run as one of the bests in Hungary. 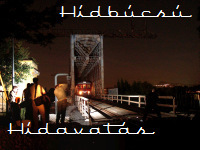 Three viaducts and four tunnels make this line one of the most spectaculars in Hungary. Historic trams and a photo special. A preparation for multiple photo charters at the most spectacular railway of the country. Both the line and its MDmot railcars have by now disappeared. The Children s Railway and the Red Bull Air Race highlight this gallery, but also ordinary photos of V43 and V63 locomotives make it worth a click. A gallery of artistically produced report photography of the last metres of these 50-years-old Ganz streetcars on the streets of Budapest. Red poppies and Taurus locomotives go well together, but the secondary lines with M47 locomotives, Bzmot and Desiro railcars are more interesting to me. With dance photos, narrow gauge and model railways! 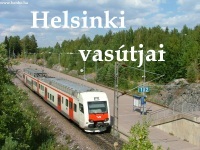 The suburban railways of the Greater Helsinki. 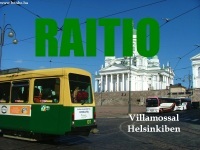 An insight in the complex public transport system of the Finnsih capital. The MÁVAG class 242 appears refurbished and faster than ever in his elegant green colour scheme. 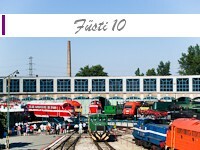 A few M40 locomotives appeared inside Budapest. I also took a few photos at the construction site of the Kőröshegy viaduct on motorway M7. We visit the HOLCIM cement works and a few ancient temples. 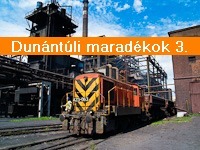 We visit the Mátra Coal Power Plant. 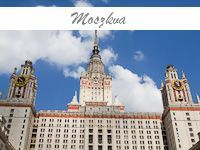 A Nosztalgia kft. 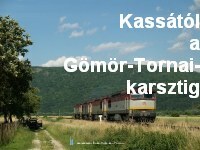 photo special with BCmot railcars in my favourite Nógrád. Art, portraits and baguatells appear with some Combino trams and excellent train photos. 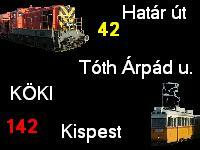 Every locomotive of LÁEV pulled specials, the steamer, the C50s, the Mk48s and even the new, tiny B26 appeared! 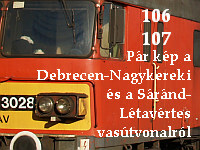 A trains.hu special train on the Hatvan-Kisterenye-Kál-Kápolna line. Many Bzmots in the snow and under the warm sunlight between Szokolya and Berkenye. 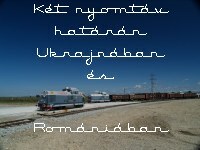 BDVmot trainsets have been directed to Monor, a sight I had to record. Also the Combino trams arrived to the city and I met a boiling steam locomotive during my travels. On the Oroszlány branch the new Talent EMUs were finally added to service. 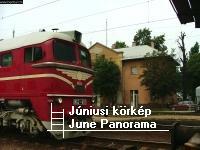 These modern trains witness the last few moves of Bzmots on the Környe-Pápa line. Line 13 was due to close too. A pity I didn t have much time to take photos, I only managed to travel on this gorgeous line while learning physics. 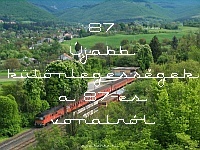 A German double-decker train visited Hungary, but also a NoHAB locomotive decided to move a bit around. 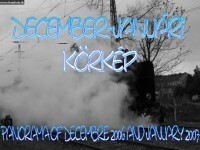 It was a low month regarding photography with only a few photos taken at an exhibition of a Talent railcar and around Kunszentmiklós station. This railway is due to close soon so I decided to scout around Tolmács, where the local freight usually visits a siding. 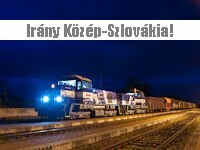 This day the freight brought so many cars to Romhány it didn t even fit in my field of view. 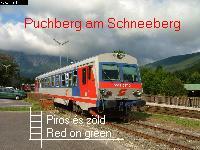 Photos from the Wiener Neustadt - Puchberg am Schneeberg branch and the Semmering with many old locomotives. A real historic insight! A photo charter on the remnants of the extensive rail network servng the mines and factories. A Desiro on a 700 km train? What an idea! 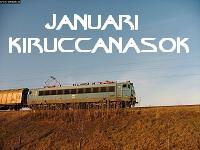 Follow me to Szeged on the special holiday InterCity and see some regional traffic on the snowy lowlands. 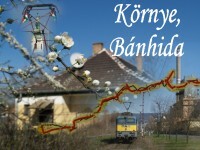 Take a ride on various Bzmot railcars to the heart of Nógrád, a place of magic journeys. Follow my first visit to this lovely countrydie and my unexpected meeting with a Slovakian freight train. 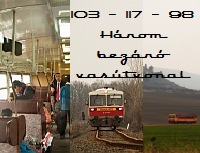 In March, 2007. the socialist government shut down many small and - to them - unimportant branch lines. 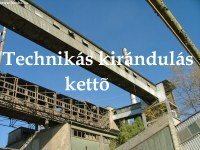 One of them was the branch to the now built-down industrial centre of Romhány. See what the M41-hauled passanger trains look like in this old industrial district and also meet a strong Russian! We took the historically painted M32 2040 from Balassagyarmat and started the first-ever trains.hu special train on the gorgeous little branch line from Diósjenő to Romhány.